Friday the 13th might sound like a risky kind of day to hold an event. But despite being thrown a few unlucky curve balls at the last minute, we pulled through with flying colours, holding a really successful Swishing Event! 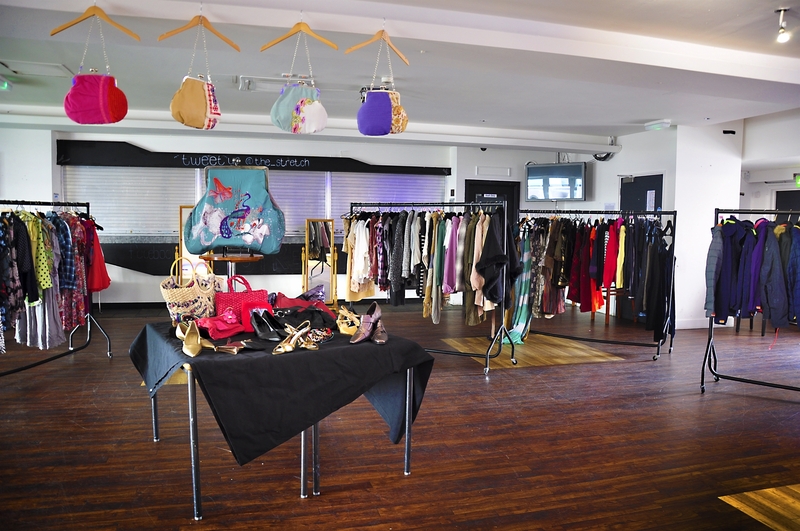 In case you’re not sure what the swish is all about, it’s a fun social event where you bring your pre-loved clothes to swap them for someone else’s… for free! 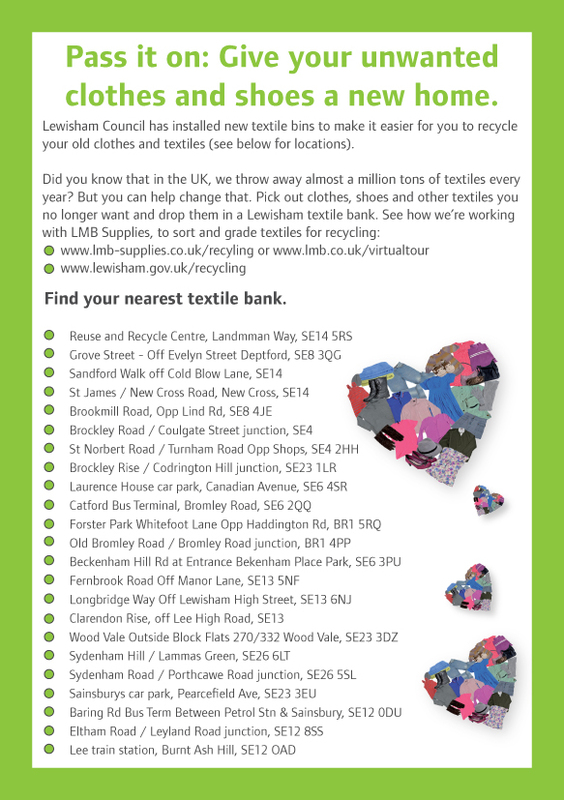 Lewisham Council, in its endeavour to raise awareness about the huge problem of textile waste, joined forces with Goldsmiths University students who brought a fantastic amount of energy into this campaign. 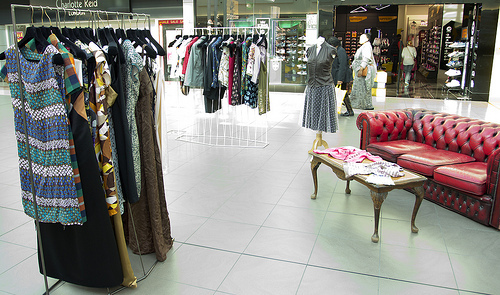 In the UK, consumers throw away over a million tonnes of textiles every year. All of it could have been reused or recycled instead of going to waste. It’s the equivalent of throwing away £238 million every year. Crazy! It’s just as crazy to learn that to manufacture one pair of jeans and a t-shirt takes about 20,000 litres of water. Both students of Goldsmiths University and Lewisham residents came to swap their clothes. At times the change room had a queue as there was a frenzy of trying things on! This happy swisher had her eye on this shawl since the promotional events earlier in the week and was thrilled to be it’s new owner at Friday’s event. She was so happy, she came back later in the day for a second swish! 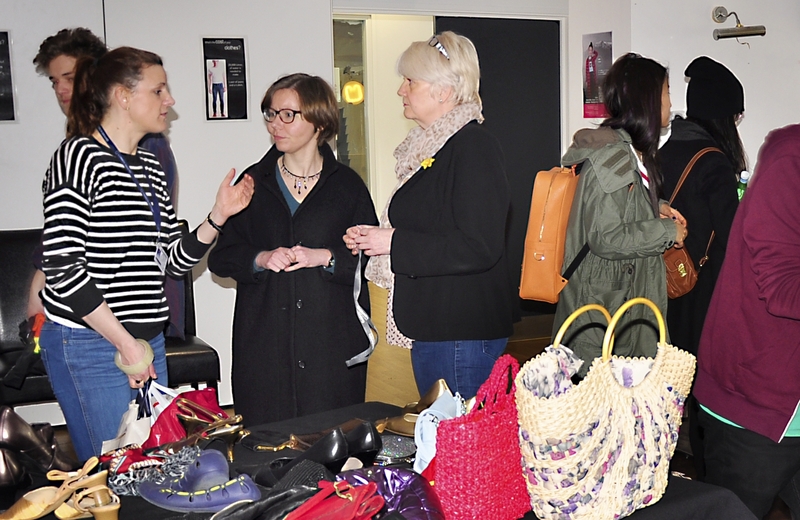 Our swishing event, promoted through posters, information stalls and through social media was held in the Stretch Bar of Goldsmiths University. To the sound of groovy beats and strobe lighting, we had over 50 people come to the swishing event, or see what it was all about. We took every opportunity to talk about what the event was all about and received great feedback about the concept and event, with ‘When’s the next one?’ being the most asked question! A great time was had by all and many of the swishers walked away with armfuls of new-to-them clothes and big smiles! Categories: Uncategorized | Tags: clothes banks, clothes swapping, goldsmiths, Goldsmiths University, Recycling textiles in Lewisham, Stretch bar, swapping clothes, swish, swishing, swishing clothes, swishing in Lewisham, swishing students, textile banks, Textile banks in Lewisham, textile recycling, textile recycling in Lewisham, textiles | Permalink. Free clothes anyone? You’re invited! It’s crazy to think that 20,000 litres of water is needed to produce one pair of jeans and a t-shirt. And it’s just as crazy to think one million tonnes of textiles are thrown out by consumers every year. Swapping your clothes and accessories with friends is a fun and easy way to make sure your wardrobe looks fresh but also ensures that your pre-loved clothes are being loved again. Come along and swish, its easy! Lewisham Council has teamed up with MA students studying at the Institute for Creative and Cultural Entrepreneurship from Goldsmiths University as well as Greening Goldsmiths to put on a party to celebrate the importance of textiles. 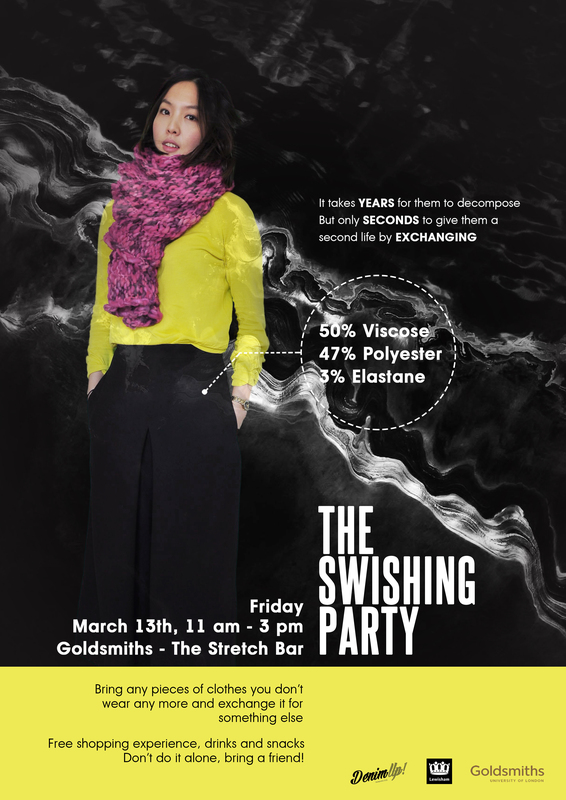 The Swishing Party invites you to come along with your pre-loved clothes and swap them for something from our range of clothing – free! Bring a friend! Categories: swish | Tags: clothes party, clothes swapping, clothes swapping at Goldsmiths, Creative and Cultural Entrepreneurship, Fashion, fashion at Goldsmiths, Goldsmiths swishing party, Goldsmiths University, Greening Goldsmiths, reusing clothing, swishing, Swishing at Goldsmiths, swishing in Lewisham, The Stretch Bar, The Swishing Party | Permalink. Following the success of our ‘big swish’ held in Lewisham shopping centre last year, we decided to hold three more mini ‘swishes’ in the borough at – Brockley, Grove Park and Lee Green. 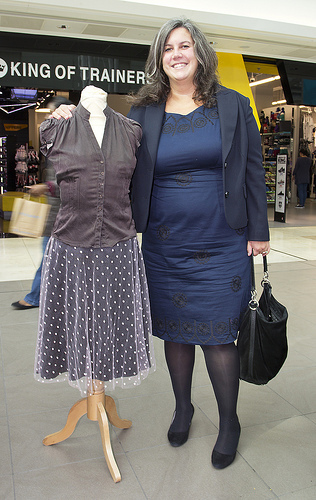 Swishing is swapping – people turn up with something (in this case clothing) that they no longer want and swap with other peoples clothes that they no longer want. No money changes hands and swishes are usually a sociable event with the added benefit of reducing the need to shop and reusing clothing. The three mini swishes were held each month from January to March with thirty residents coming along to swish items of clothing. 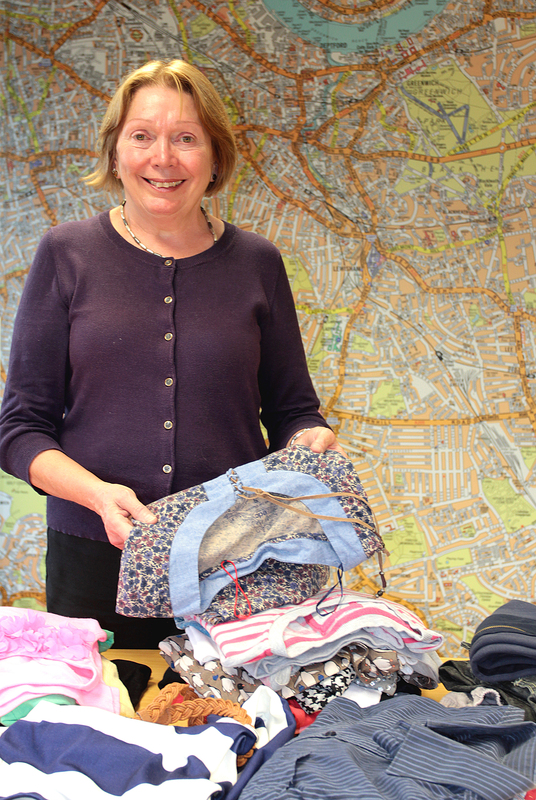 In total twenty six items of clothing were swished and other items of clothing were handed in which we sent for reuse. 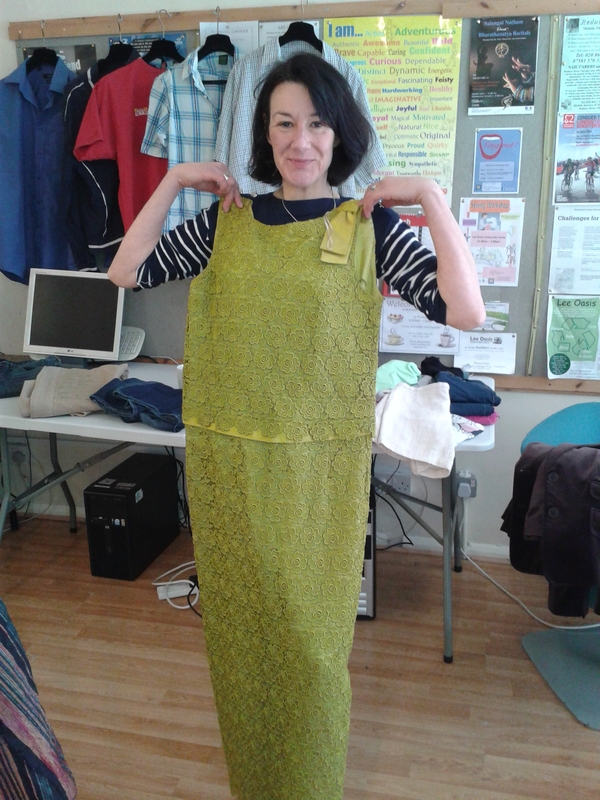 The swish in March took place at Lee Green Community Centre- whilst the sewing lesson was taking place upstairs! 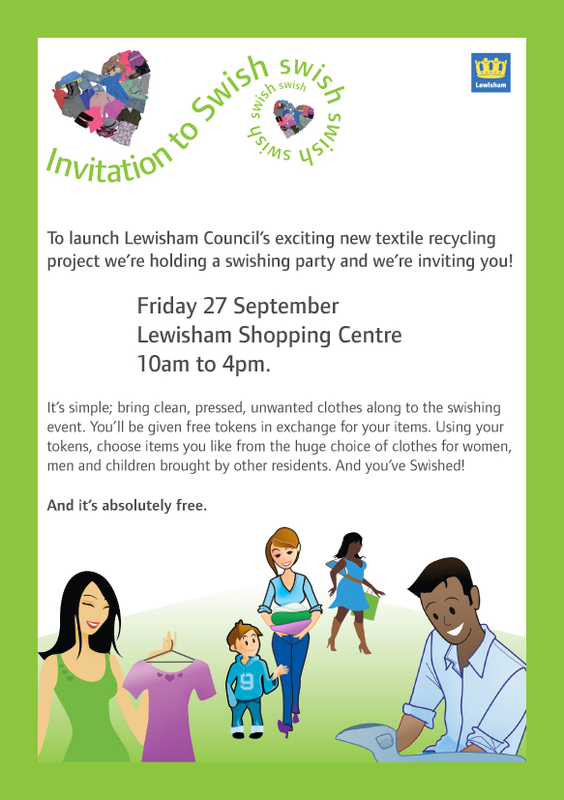 Categories: community engagement, Environmental Campaigns, Textiles | Tags: clothes swapping, clothes swapping event, recycling clothes, reusing clothes, reusing textiles, swapping clothes, swishing, swishing event in Lewisham, swishing in Lee Gate, swishing in Lewisham, swishing locally, textile recycling, textile reuse | Permalink. 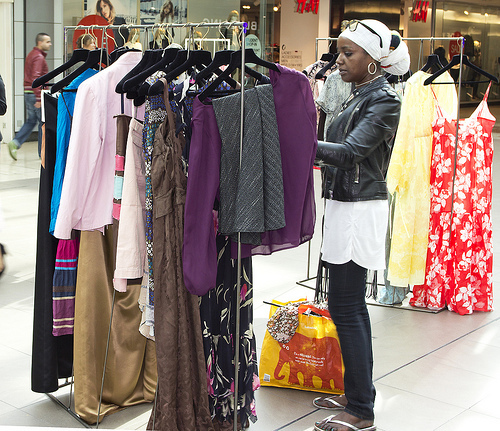 Swishing really is swapping instead of shopping. No money changes hands as taking part involves turning up with items that you no longer want and swapping it with other peoples items that they no longer want. Swishing usually refer to clothes swapping but has now evolved to include other items such as books and furniture. It saves you money! You can get a ‘new to you’ item of clothing which is in good condition without having to spend any money. The only cost, is the item of clothing that you are giving away- which you probably didn’t want or couldn’t fit into anyway! Yes- it can be fun and some find it quite a sociable experience! 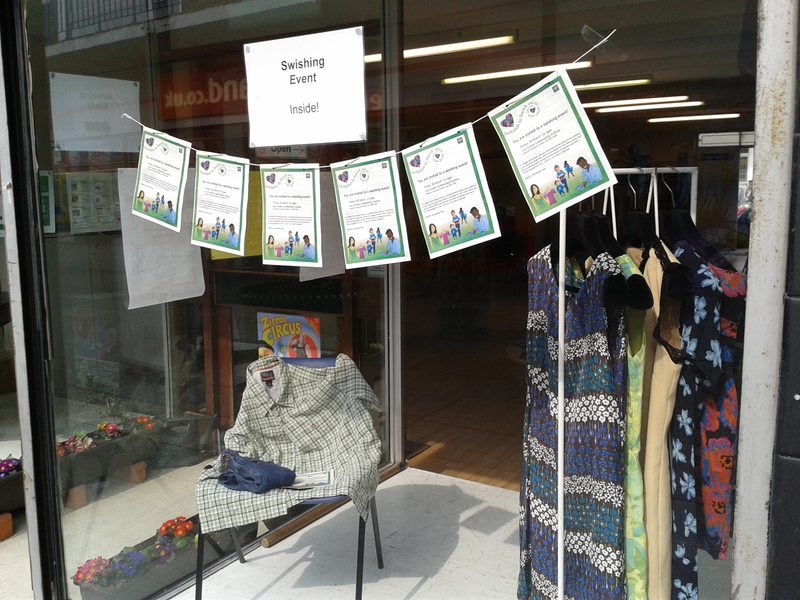 Its also environmentally friendly- you are reusing items and getting ‘new to you’ clothing reducing the need to shop! OK, you’ve convinced me- where can I do it? What if I don’t want to Swish but I have some old clothes that I don’t know what to do with? Categories: community engagement, Environmental Campaigns, Textiles, Uncategorized | Tags: Brockley swishing, clothes swapping, clothes swapping event, St Andrews Church, swishing, swishing event in Lewisham, swishing in Brockley, swishing in Lewisham, swishing locally | Permalink.